Recovers deleted WhatsApp messages on Android and iPhone. Highest success rate of recovering WhatsApp messages. Compatible with 6000+ Android devices and all iOS devices. 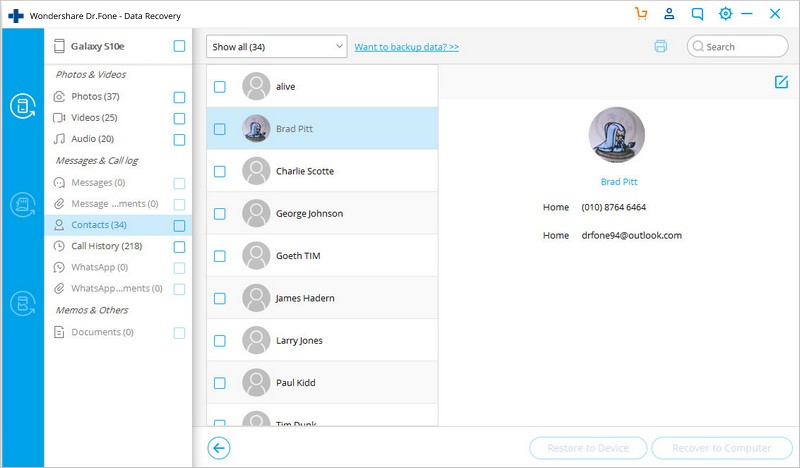 Supports the recovery of all deleted data like call logs, contacts, SMS, etc. WhatsApp has become an integral part of our lives. We use it now for staying connected with work, home, friends, and more. With the bulk of our daily communication happening through WhatsApp, it is quite obvious that we would want to save some of these messages forever. However, it is not uncommon to find that you have deleted those very important WhatsApp messages or conversations accidentally. It happens a lot certainly with many of us, and it is frustrating. Although, fortunately, the makers of WhatsApp have done their bit to help us out in such situations. WhatsApp comes with inbuilt options to auto back up WhatApp messages and hence you can always recover the lost or deleted ones. Even though they are not the perfect means of recovering your lost messages, they do the job to a certain extent at least. Also, except auto backup, there are a lot of other ways to backup WhatsApp messages, to avaid any unexpected data loss. Today, we will take a look at how one can recover deleted WhatsApp messages from the backup that it creates automatically. 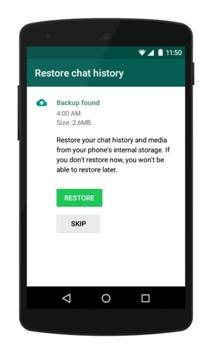 Now, WhatsApp does automatically backup your chat history on any Android device every day. You can also choose Google Drive (for Android) and iCloud (for iPhone) as the means of storing backups of your WhatsApp chat history. In case, you have ended up deleting some messages on WhatsApp and now want to recover or restore them, simply uninstall and reinstall WhatsApp on your device. Upon doing that, WhatsApp will automatically ask you to restore using the last backup created. It is easy and fast to restore the lost messages this way. This method would only recover WhatsApp messages sent before the last backup was created, any message sent after that will not be restored. Doesn't give you a way to restore selective messages. The built in automatic back up feature in WhatsApp doesn't do anything to help in case you want to selectively retrieve WhatsApp messages on Android. For that, you have to depend on best WhatsApp recovery tool for Android, the dr.fone - Recover (Android) . dr.fone is excellent when it comes to finding even the deleted WhatsApp messages on your Android device and then allows you to choose which one of them would you want recovered and restored in your device. 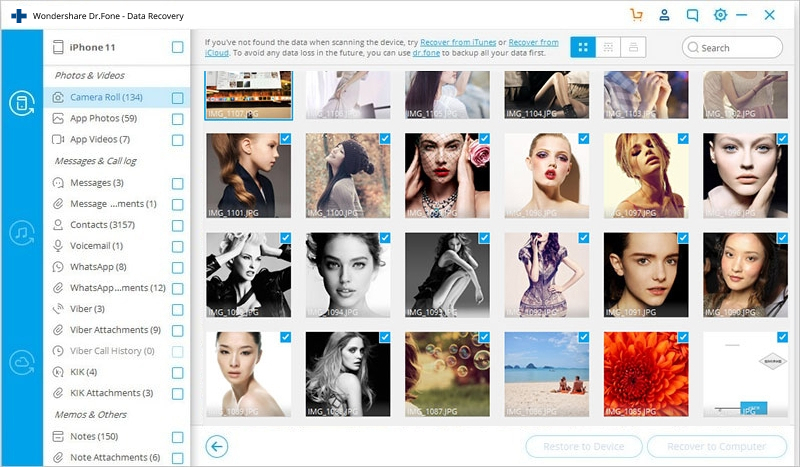 Recover photos, videos, contacts, messaging, call logs, WhatsApp messages and more. Compatible with 6000+ Android devices. Step 1 - Launch dr.fone - Recover (Android) and then use the USB cable provided with your Android device to connect it with your computer. Step 2 - Next, select the option of 'Next' so that your device gets detected by dr.fone - Android Data Recovery. Step 3 - dr.fone in a few seconds will be ready to scan your device, once that happens, click on the option called 'WhatsApp & Attachments' and then press the button 'Next' to start scanning. 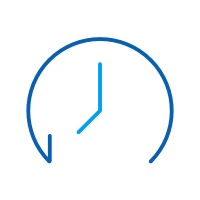 Step 4 - dr.fone - Recover (Android) will take a few minutes to finish the process of scanning your Android device for all lost and existing WhatsApp messages. When done, the results will be displayed categorically for you to select from. 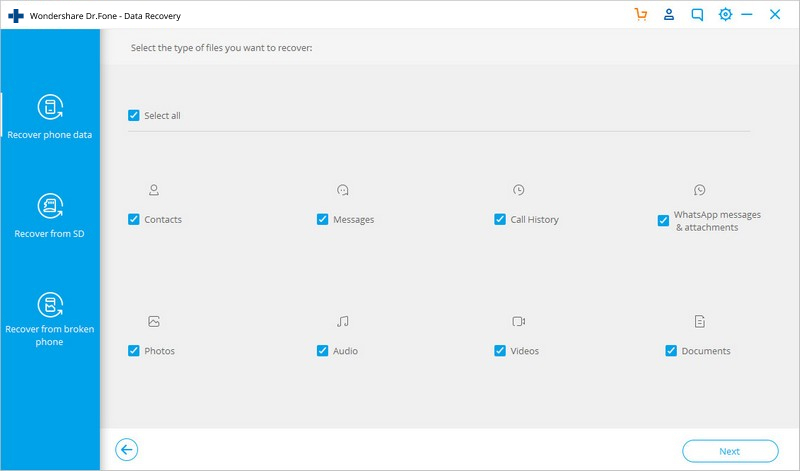 Once you have checked or marked the items you want to recover, hit the option of 'Recover' to have the WhatsApp data saved as a backup on your computer. 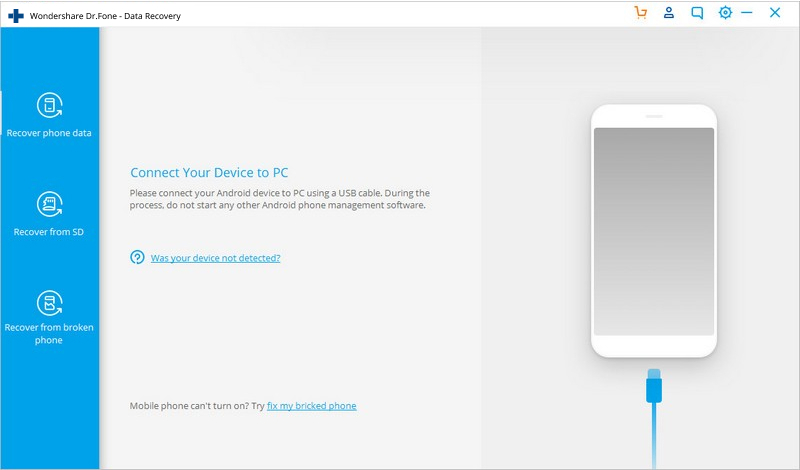 dr.fone - Recover (iOS) does what its Android version does. It recovers all the data that you have lost on your iPhone as easily as anything, including the lost messages on WhatsApp. dr.fone has designed the software to be very easy to use and hence the steps involved in the process are simple. However, before we get in to the actual method of how recovery of lost WhatsApp messages can be accomplished with dr.fone, let us take a quick look at a few of its amazing features. Recover photos, videos, contacts, messages, notes, call logs, WhatsApp and more. Now, if you are ready to recover lost WhatsApp messages, let us take a look at the steps involved. Step 1 - Launch dr.fone - Recover (iOS) and at this point connect your iPhone and your computer. dr.fone should automatically detect and identify your iPhone now. Once that has happened, click the option 'Recover from iOS Device' and then 'WhatsApp & Attachments' to begin scanning your device. 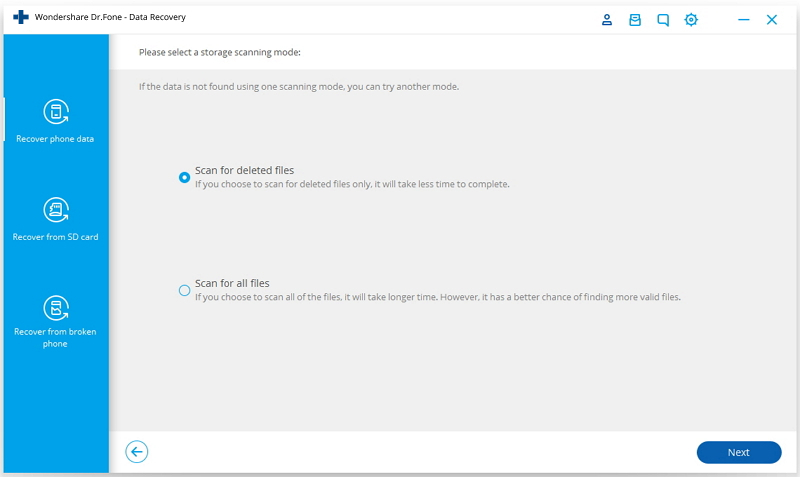 Move ahead by clicking the 'Start Scan' option. Step 2 - Once you have pressed the Start Scan button, dr.fone will begin scanning your iPhone for all the deleted WhatsApp messages. Step 3 - After a few minutes, the scanning should be complete and dr.fone will have the WhatsApp data that it found listed for you. Click on the option 'WhatsApp Attachments' to see the photos and videos you received on WhatsApp and can be recovered. 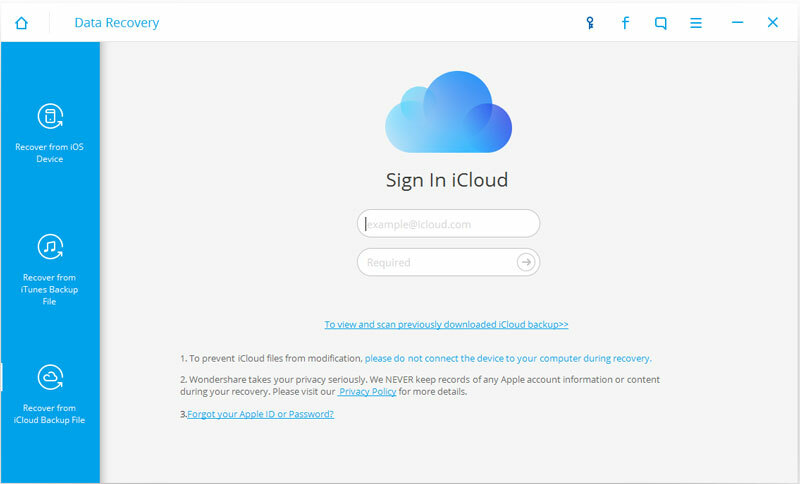 You can then manually select the ones you want to recover now and simply hit the 'Recover to Computer' option for recovering them all to your computer and save them as a backup. So, you just recover deleted WhatsApp messages successfully! dr.fone - Recover (iOS) is not just the best alternative but also a better way of creating WhatsApp backups. If you liked the article, feel free to share it with others you know and help everyone out. Wondering how to transfer WhatsApp history from iPhone to Android? Here are top 5 ways to transfer WhatsApp history. Want to delete WhatsApp account and take care of all the following issues? Here in this article, you will learn how to permanently and temporarily delete your WhatsApp account, delete WhatsApp account without a phone, and retrieve data from a deleted WhatsApp account. How do I Get my Old WhatsApp Account on My New Phone? Do you want to get your move your WhatsApp Account to your new phone? Here's how to do it. Want to block people in Facebook on your iPhone or iPad? Here we give you some tips to block people in Facebook on your iPhone or iPad. We are going to post this article to help user to know how they can transfer whatsapp messages from android phone to android phone. Want to transfer WhatsApp to new phone? Read this extensive guide and learn how to transfer WhatsApp messages to Android and iOS devices quickly. Want to backup or export WhatsApp Messages? Dr.Fone is a great program to back or export WhatsApp Messages from your iPhone devices!